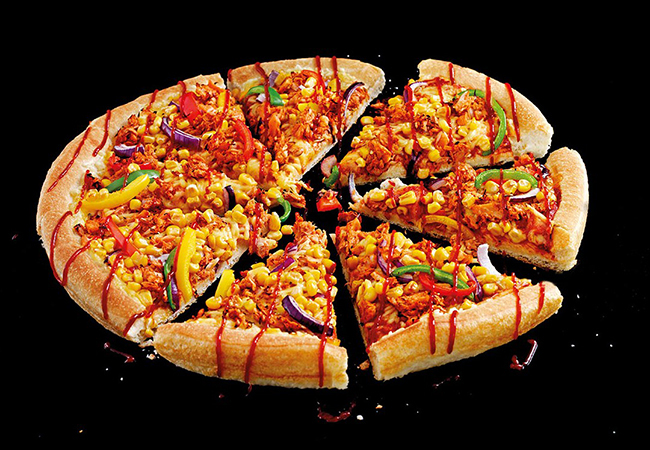 Pizza Hut’s vegan jackfruit pizza is set to become a permanent fixture on the menu after sales of the pizza doubled the target set by the company, and the company has teased that new vegan options are coming soon..
Pizza Hut recently introduced a vegan pizza to its menu in 253 Pizza Hut Restaurants across the UK, and now the Vegan ‘Jack ‘n’ Ch**se’ Pizza is set to become a permanent fixture on the menu after sales of the pizza doubled the target set by the company. The pizza, which features a tomato base with Violife’s award-winning non-dairy cheese alternative, sweetcorn, red onions, peppers and BBQ Jackfruit with a BBQ drizzle, was launched in celebration of Veganuary and the company has received over 17,700 orders for the pizza to date. Not only is the pizza being permanently added to Pizza Hut Restaurants, the company has also teased that it will be adding even more vegan options in the near future.